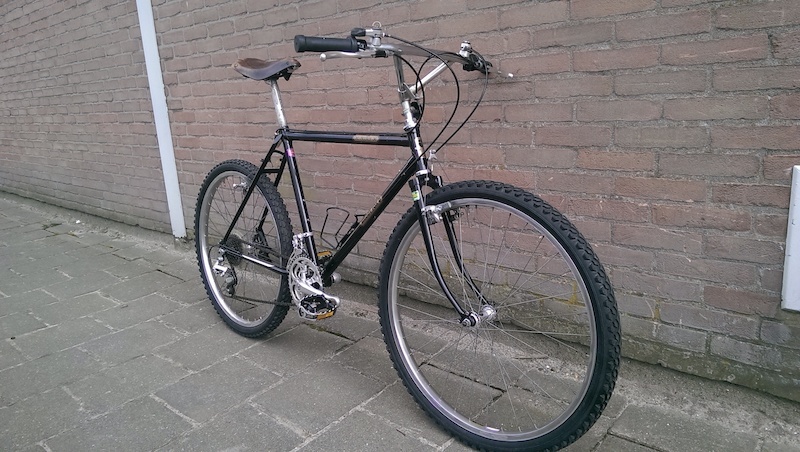 A few weeks ago I was checking the local ads as usual, when a very old looking bike took my attention. 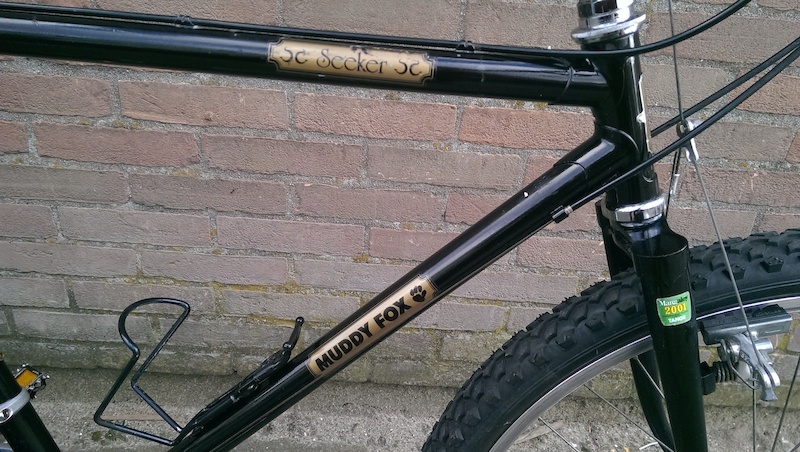 I immediately reconiced it as mid '80 style, and when I saw it was a Muddy Fox I was stoked. 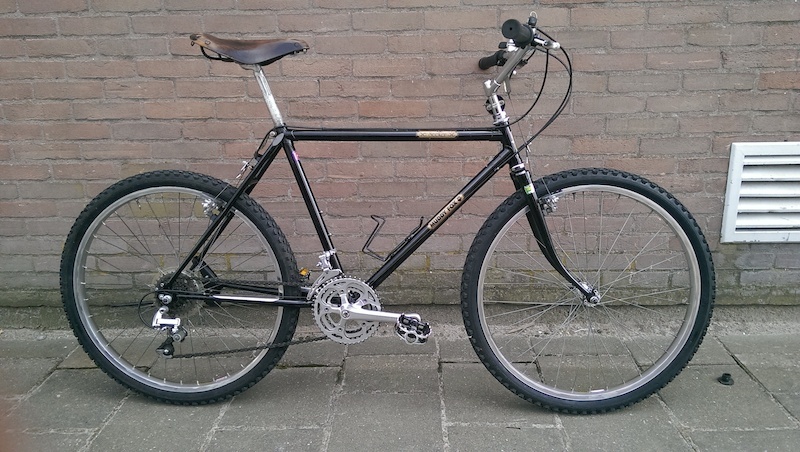 Such an old bike is pretty rare in Holland as the very first bike were sold here around '87. I called the shop, made my bid and it was mine. Today I finnaly had the time to pick it up and it looks even better in the flesh. 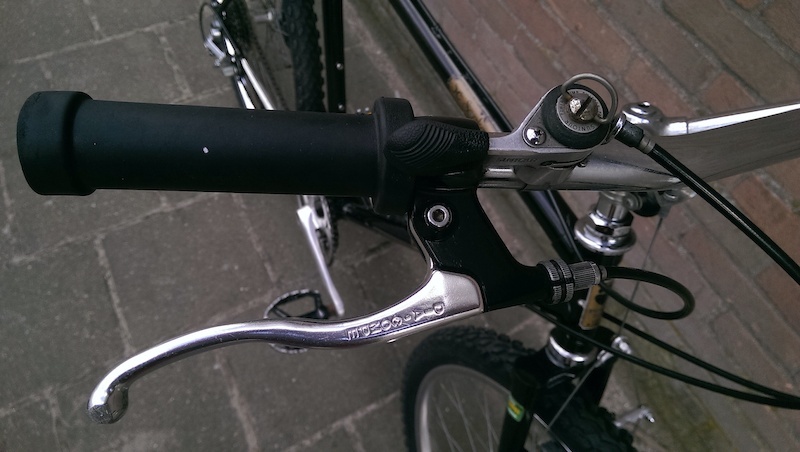 It is hardly used, original except tires and saddle, few little sctraches, but nothimg serious. It took it for a little ride around the block and it fits my perfect and feels like new. I have some early 80's IRC tires, so only need the original saddle. Any idea wich I need? Is that Dr Who's bike? Looks like its never been touched?.. 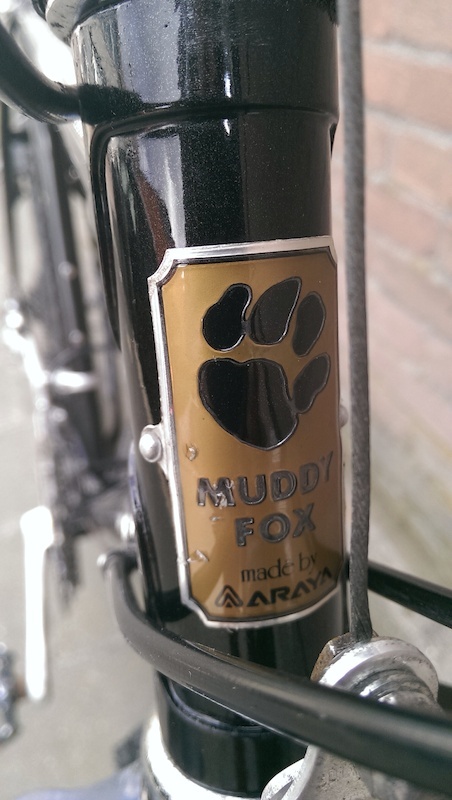 I'm not sure of the exact model, but I'm fairly certain the original saddle on these was made by Kashimax. Thanks, I'll search for aKashimax then. Thanks, I was very fast, I made a eeal within an hour it was placed. Last edited by Jamis Diablo on Sat Mar 22, 2014 4:00 pm, edited 1 time in total.